Are negative reviews as bad as they seem? They can be if they’re not addressed correctly. There is a saying that there is no failure, only feedback. 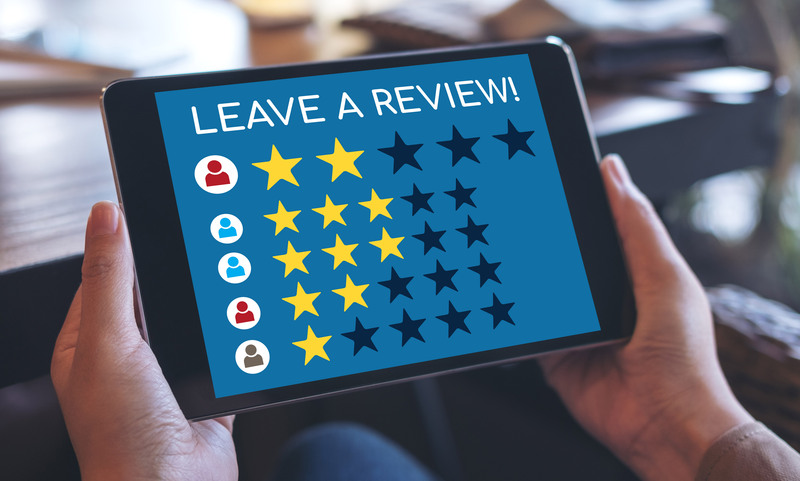 If you approach negative reviews with this perspective in mind, you just might discover that negative review is actually an opportunity that can help your business. Here are the types of negative reviews you’ll encounter and what to do about them. If there is a legitimate complaint, it’s a pointer that something needs to change. Dealerships can’t really do much to improve their products, but they can improve their processes. If an associate was rude or there was an overly long wait, or some other service failure, getting a bad review should be a moment of reflection to see where things went wrong. If the customer is right, respond to the review and apologize. If necessary, you can offer them something in return to make up for their bad experience. This is where customer recovery skills come into play. Sometimes your marketing will bring in the wrong kind of customer. They may not be able to afford your products or can’t secure financing. You may do everything you can, but they can’t buy. If they’re leaving bad reviews because of this, your marketing could be using the wrong buyer personas. Worse, your marketing team could be using confusing language. There’s not much you can do here to address the review beyond apologizing, but it’s definitely something to address with your marketing team. This is a type of negative review that can, paradoxically, build trust in your customers. Let’s say that your dealership is in a busy area and long waits are common. You get a review that says the customer had a great experience with the purchase, but the wait was too long. These mildly negative reviews serve two purposes. First, they can address things that are beyond your control and set the expectations of incoming customers. If they know in advance you’re a busy dealership, they will be more willing to wait. Second, these reviews serve as a kind of leavening to your positive ones. We tend to distrust a business if every single review is super-positive. It feels too good to be true. But having some 3 and 4-star reviews will make your business seem more real. In response, you can give some sympathy or even some humbling agreement. Let’s say the wait at the service center is too long. You could talk about how many cars you service in a day, or your plans for adding more bays to address the issue. This will help the customer feel better and give some explanation for anyone who comes across the review. Finally, there are some people who just love to complain and will leave a negative review about something completely beyond your control and quite silly. The kind of person who buys a convertible in a rainy area and complains they can’t leave the top down all the time. The kind of person who wants you to move heaven and earth beyond all reason. The exceptions that make “the customer is always right” utterly false. These kinds of reviews are the ones that make reasonable customers laugh because the reviewer is so ignorant. Give a polite response and move on. If they try to come back with more, they’ll probably dig their hole even deeper. Notice that every one of these needs a response. Responding to negative reviews lets other interested readers know that you pay attention to reviews. It also provides a small SEO benefit. Stay polite and professional, but keep your boundaries too. This will keep your business in control of the story and will help you get the most benefit out of a negative review.